Download Jerusalem Archaeology: Exposing the Biblical City and start receiving Bible History Daily — both absolutely free! Jerusalem lies at the heart of Biblical archaeology. Download an eBook featuring BAR articles to learn the results of some of the city’s most groundbreaking excavations. In this free eBook, learn about exciting finds in the Biblical world’s most vibrant city. Discover the results of recent excavations, learn about the scholars working on Jerusalem archaeology projects and get to know a site that contains more than a thousand years of the city’s history. The storied city of Jerusalem has been continuously inhabited for thousands of years. 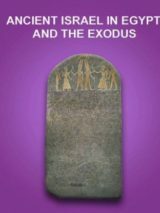 Sacred to three great monotheistic religions, it is a Biblical archaeologist’s dream—and nightmare. Jerusalem is the most-excavated city in the world; archaeologists have worked with everything from a bulldozer to a spade, to a handpick and even a toothbrush. And almost every time someone digs in the Holy City, some new and exciting clue about the world of ancient Israel or the origins of Judaism and Christianity is revealed. Constructing a history of Jerusalem is a monumental task. Jerusalem’s story takes place in countless sites built over the course of millennia. And each of the city’s historical puzzle pieces carries with it myriad interpretations and debates. 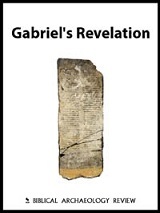 In the first chapter of this eBook, Biblical Archaeology Review Editor Hershel Shanks presents dramatic recent discoveries from the city’s early history, as well as the projects and scholars who have brought them to light. Sift through hidden treasures from the Temple Mount, read the fragmented text of the city’s oldest known writing and explore evidence of Solomon’s Jerusalem—from the city walls to his royal residence. Jerusalem’s sacred history developed over the span of millennia. An excavation located a mere hundred yards from the Western Wall revealed Jerusalem’s layered ancient history—from the building blocks of Solomon’s city to the bustling thoroughfare of Roman and Byzantine Aelia Capitolina. 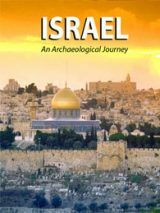 In this eBook’s second chapter, Israel Antiquities Authority archaeologists Shlomit Weksler-Bdolah, Alexander Onn, Shua Kisilevitz and Brigitte Ouahnouna shine a spotlight on a single site containing more than a thousand years of the city’s dynamic history. We’ll send you a link to download your copy of Jerusalem Archaeology: Exposing the Biblical City and offer you a FREE registration to the Bible History Daily newsletter, bringing the world of the Bible and archaeology directly to your inbox. Your FREE registration to Bible History Daily introduces you to community discussions on fascinating topics like the Dead Sea Scrolls, top Biblical archaeology discoveries, ancient Israel and Easter. Jebus was an ancient city of the Jebusites on the site now known as Jerusalem. In the time of Abraham before the year 1900 B.C.E., this place was called Salem (meaning “Peace”), which is included in the name Jerusalem and may be a contraction of it. (Heb 7:2) Mention was made of Urusalim (Jerusalem) in the Amarna Tablets found in Egypt. And in the books of Joshua, Judges, and First Samuel, where events prior to the conquest of the city by David are mentioned, the site is often called Jerusalem. (Jos 10:1, 3, 5, 23; 12:10; 15:8, 63; 18:28; Jg 1:7, 8, 21; 19:10; 1Sa 17:54) In only two passages is it referred to as Jebus. (Jg 19:10, 11; 1Ch 11:4, 5) In Joshua 18:28 Yevu·siʹ appears in the Hebrew, the ending i indicating people, the inhabitants of the city. I did log in and still no download. Maybe you need to describe the exact sequence one should use because the log in screen keeps coming up. I’ve tried this approach numerous times. Quite frustrating when the book sounds so interesting. Several readers have had trouble downloading ebooks in the past couple of days due to an error in the system. If you have ever registered with us in the past (downloaded another ebook, receive our emails), please be sure to log in in the yellow bar at the top of the screen before trying to download this ebook. Once logged in, you should be able to download the book without a problem! 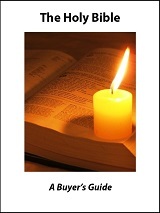 Sounds like a great read, BUT the ebook will not download.